5 Farm Simulation Games With Magical Themes Artikel - Virtual Worlds Land! Beoordeel dit Artikel Tired of the usual plants and animals in farming games? Then try these five farming games with a magical twist! Farm simulation games were originally made for letting a player get a taste of how it feels like to work in the farm – of course without the physical labor. Classics like Farmville and Farm Town and Happy Farm all introduced us to growing crops by the dozen, while attending to other farming duties like feeding animals and selling your harvest. Over the years farming games have evolved and we are now seeing farming games set in outer space, in a deserted island or a spooky forest. If you like some fantasy sprinkled in your farming world, then you’re in luck! There are many farming games with mystical locations and the things that you can grow are more interesting – since most of them doesn’t exist in real life. Here are some games that will put some sparkle to your seeds and magic in your fields. Dreamfields is a beautiful farming game that takes place in an enchanted forest. You can make raspberry jam to lure some bears to work for you. These bears clear stones, trees and flowers from your field while you attend to other things like planting magic fruit, collecting vanilla from a pony and coins from different-colored houses. Everything in Dreamfields looks like a dream, and it’s far from the typical farming game you’ve been used to. Similar to Dreamfields, but a little close to reality, Klondike is another well-made game that allows you to create many useful things from the plants you grow. Need some iron? Build a Smithy and put some fire and ore together. Need feeds for your pigs? Get some grass and milk and make them in the Barn. Need some cash? Dig around your neighbor’s yard to search for the Gold Vein. Things don’t always make sense in this game, but that’s what makes it different and totally addictive. Don’t you just hate it when you forget to harvest your crops and they wither? Well, that’s not a problem in Fairy Farm. Here, you can use magic to bring your plants back to life. Plants look very interesting and it’s not exactly based in real life. The landscape is also filled with magic, and you yourself is dressed like a powerful witch/wizard. You can also raise mythical creatures like dragons and unicorns. 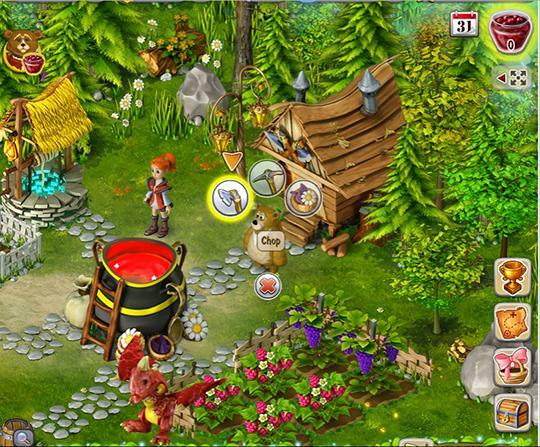 Charm Farm is a combination of building and farming game with lots of magic within its gameplay. Here, you need to help a fairy named Kaya restore a forest after the destruction of the evil sorcerer, Garp. You can use hard labor and some magic to get things done. For starters, you need mana to do all your work, and you need to collect mana crystals from different sources. You also get helpful creatures called Shmoos to help you work on the farm. Needless to say the entire farm looks nothing short of extraordinary, and it will look ethereal once you restored the castle and other structures. Want a more challenging but still magical farming game? Try Magic Farm 2: Fairy Lands. A combination of farming and time management, you have to plant, harvest and complete a task within a limited time. 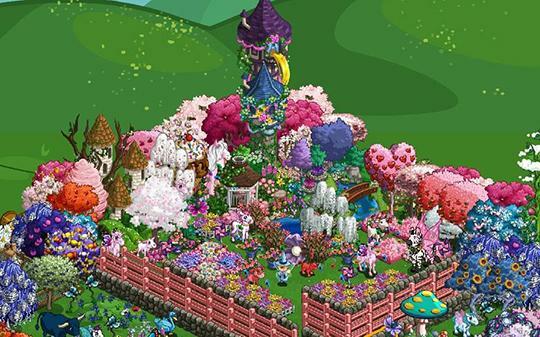 Have a blast planting out-of-this-world crops, harvesting them and carrying out other tasks in a dreamlike forest. With amazing graphics and unique gameplay, it’s far from the typical plant-and-harvest farming game you might be familiar with. If you’re looking to see some really amazing crops, fantastic creatures and unique farming mechanics, then check out any of these games and prepare to be delighted. Farming need not be ordinary and close to real life. Sometimes, a bit of magic and mystery takes farming to a whole new level.